The First Lady treated the young royals to handmade toys. Michelle Obama might have already jetted off to Italy after her whirlwind trip to the UK, but that didn’t stop her finding time to gift the youngest two royals with some adorable presents. The First Lady treated Kate Middleton and Prince William’s son George to a bright red Berlin Flyer Pee-Wee Wagon worth £100. The wooden toy was made by Amish craftsmen in America. 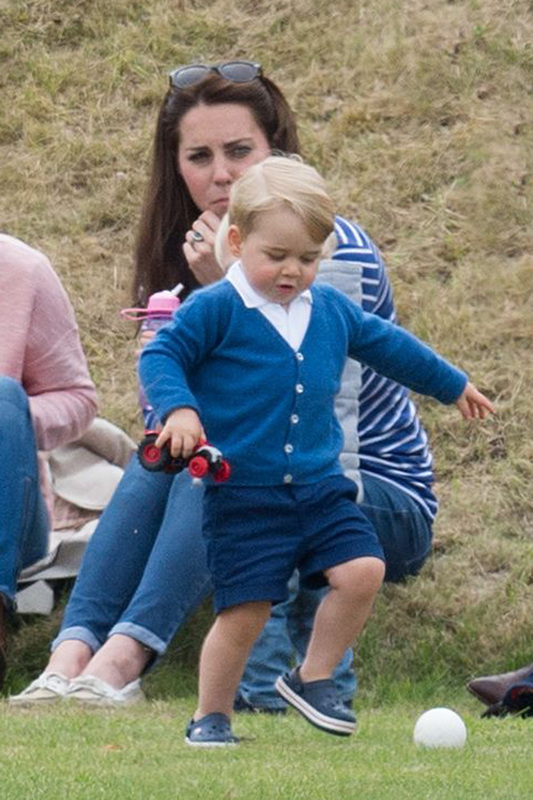 We’re sure the blond toddler will love wheeling the cart around having seen how energetic he was at the polo match he attended with his parents last week. It’s not the first time the two-year-old has been spoilt by Barack Obama and his wife. To celebrate his birth, they sent a handmade wooden rocking horse complete with a wooden polo mallet. 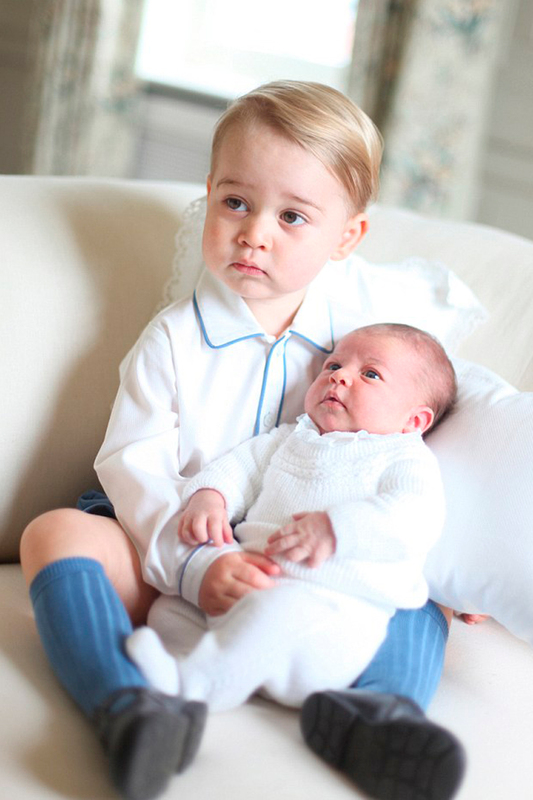 And when Kate and Wills visited the States last year, they were given a cuddly toy to take home for their son. Of course the duo’s newborn didn’t go empty handed either. Michelle presented Charlotte – who was born in May at the Lindo Wing at St Mary’s Hospital in Paddington – with a handmade rocking chair and an alpaca wool blanket. The 51-year-old wife of the President of the United States spent time with George and Charlotte’s uncle Prince Harry during her stay in London. Michelle and her daughters Sasha and Malia joined the handsome redhead, 30, for a spot of tea at Kensington Palace. The group discussed Michelle’s quest for boosting girls’ access to education around the world during their 40-minute meeting. For the occasion, Michelle donned a pretty floral dress that nipped her in at the waisted and featured a pleated skirt.